I had the opportunity to share this post a few weeks ago at Organized 31. Here it is in case you missed it! I'm a huge fan of making something on your own because your purse strings are a little too tight this month. As you've learned by now, one thing I'm always too cheap to buy is curtain ties. 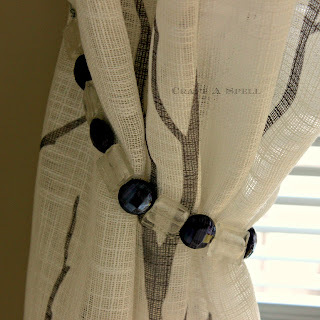 I've made a few different curtain ties including my original and this for my new bedroom. Each time, I've managed to do it cheaper than the last. It's all about the beads you buy. Here is a tutorial for the ties I just made for my living room. I found these cute curtains at Bed, Bath, and Beyond. I love them but I wanted to be able to pull them back and get some beautiful light with my floor to ceiling windows. This is really simple. All you do is lay out your beads in the order you'd like to string them. I chose to just alternate. Then you string them onto your wire. On the free end of your wire, make a loop and wrap the wire around itself. Keep wrapping until you can nearly wrap no more! Using your needle nosed pliers, press the wire into a position so that you won't scratch/poke yourself. 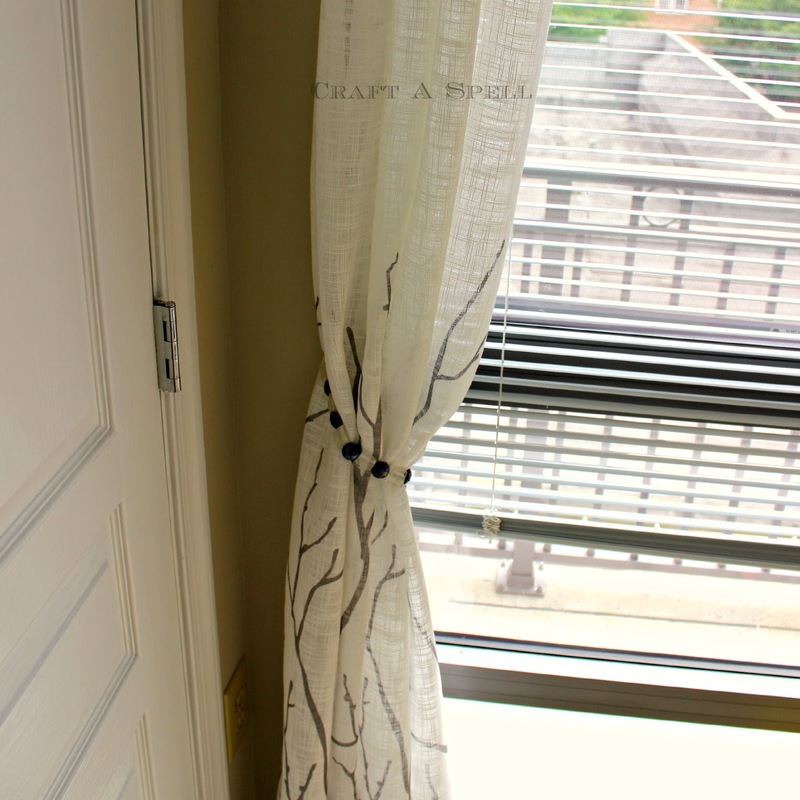 Or, more importantly, your pretty new curtains. Priorities. On the opposite end, leave yourself enough wire to repeat these steps and cut with your wire cutters. Repeat the looping steps. Find something to secure the wire hoops. I used a nail in my wall that would be hidden where the curtain hangs. If you have crown molding, you could hammer right into the side of it. Then sit back and enjoy the prettiness that you created and that gorgeous sunny day. And air conditioning. It's too hot to go outside. Those are beautiful! 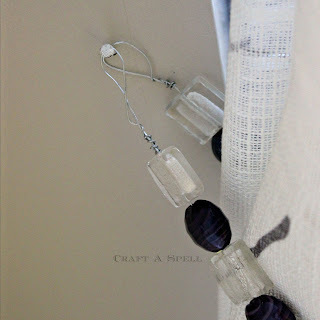 I could use some curtain tie backs at my place - I bet this would work equally well with jewelry wire (which I already have on hand). Great idea!! It does! 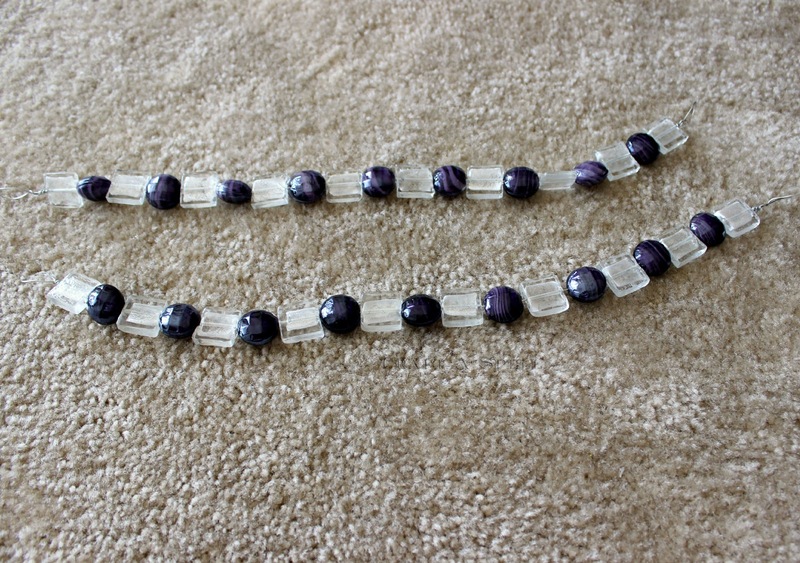 The last two times I made them, I used jewelry wire. Sometimes, though, it would snap when I made my loop so I opted for the thicker floral wire. It all depends on the strength of it. 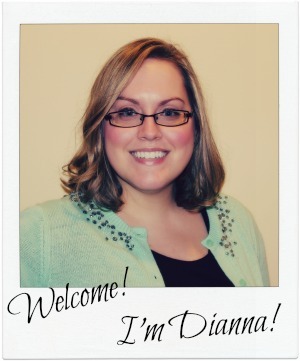 Very cute, Dianna! 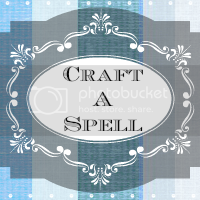 I'm a new follower from knockitoffcrafts.blogspot.com. Can't wait to see more from you! This is lovely...Your step by step explanation is so great, as well! Thank you! I may actually try this! I'm pretty crafty, but hesitate to do something like this! I hope you give it a try. It really is very easy! I love this! Very cute and such a great idea! 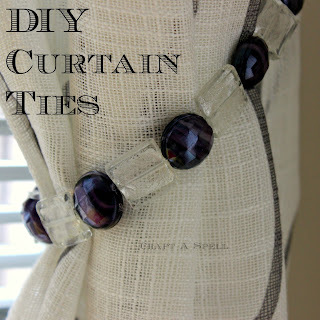 I love your curtain ties. They're so lovely. Thanks for sharing at Inspire Us Thursday at Organized 31.